My class and I were lucky enough to go on a school trip to Hampton Court, which is one of the 50 palaces that Henry VIII lived in during the Tudor times (although it was built by Thomas Wolsey, who was Henry’s chief minister). It was later a home for Henry’s daughter, Elizabeth and Charles II. It is also celebrating its 500th anniversary this year! The kitchen tours were a really fun way to learn about Tudor food plus you got to touch everything you saw. But when you go, maybe don’t touch the fire! We had a brilliant tour guide who was extremely funny and told us loads of facts. For example: did you know that instead of making 600 individual bowls of soup, the cooks built a giant hole around a metre deep and around 80 cm in width? It looked so cool. And, did you know that a low class servant would get 4 kg of meat, two loaves of bread and four pints of beer for one meal twice a day? At feasts everything was made from sugar – the plates, cutlery and glasses, even the chessboard. After you took an opponent’s piece, you got to eat it as it was made of marzipan. Also if you had a battle ship that you loved. you could tell Henry, and his cooks would make a two metre long model of your ship out of sugar and marzipan. The kitchen tours were one of my favourite parts of the day, but I would try and get a tour guide too, or otherwise an audio guide for the kitchens as there weren’t many boards or posters with facts on. If you go to Hampton Court, be sure to look out for ghosts. Over the years there have been many ghost sightings, including three of Henry VIII’s wives, and the class who went on the trip a year before us told us that they felt the presence of one. Watch the Hampton Court video to find out more about these ghostly visitors! The ghosts that are supposed to be there include Jane Seymour, Catherine Howard and Sybil Penn, a royal nurse who is often described as the “Grey Lady” and who looked after Elizabeth I when she fell ill from smallpox. Sybil died from the illness, but she didn’t start haunting Hampton Court until her nearby grave was disturbed in the 19th century. Sadly we didn’t see any ghouls and the man who did the kitchen tours thought it was a bunch of utter nonsense! However, I think you should definitely look for some if you go to this iconic palace. In Henry’s apartment there were loads of ways to find facts, by reading, doing and watching. I really liked the room where there was a screen in each corner as there was a person on each screen and they were all having a conversation. There were Tudor games to play, paintings to look at and a throne in each room. The audio guide was great as it asked you lots of questions and gave the point of view of different Tudor characters. For me the young Henry exhibition was not as good and not very informative, so only go to that near the end. However, I did really enjoy being in the chapel. You got to see what a proper Tudor church looked like. It was amazing. Overall, Hampton Court was a great day, I found out so much and there were lots of places to have a little bit of fun. There was also grass as far as the eye could see. A visit to Hampton Court to see the Palace, maze and gardens (plus audio guide, children’s trail and more) costs £19.30 per adults (£18.20 if booked online) and £9.70 for children under 16 (£9.10 if booked online). A family ticket is £48.20, or £44.90. That’s for up to two adults and three children. Funnily enough, back in 1661: Charles II was crowned King on this very day! He spent his honeymoon with his wife, Katherine of Braganza, at Hampton Court. We are so happy to have been shortlisted for the Bibs (Brilliance in Blogging Awards) for 2015, but we really need your help to get through to the final 5. 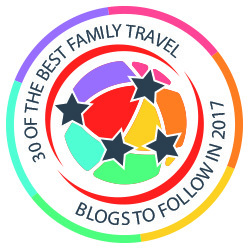 Please could you visit this link (http://www.britmums.com/2015/04/vote-for-you-favourite-bloggers-bibs2015/) and then scroll down to travel and then us (Family Travel Times)? We’d be so grateful. You don’t have to vote in all categories, though there are lots of great blogs in there! Robert, you write really well. I was intrigued about so much sugar and marzipan being used. I thought it was us current Elizabethans who were the only ones eating too much sugar! Obviously not. I’d have been looking for ghosts too. I know and that is for the lower class. The higher nobleman must have so much to eat. This is somewhere I’ve always wanted to visit and this post has made me more determined to go – adding it to the summer plans! What a fantastic right up – I love the idea of ghost hunting you never know who you might spot! I’m sure he would love it, I had a fantastic time. I’ve wanted to get to Hampton Court for a while, it looks beautiful – great photos and love the write up. Hi Robert, I’m glad you enjoyed your school trip, the kitchen tour sounds great. We still like to remind our son of our visit as he managed to set off the burglar alarm in the art exhibition (Triumphs of Caesar). The security guard told us all about the paintings and how valuable they were! Oh my goodness, how did he manage to do that? Whilst we weren’t watching he stepped over the barrier and got a little too close to the artwork. He was very embarrassed about it afterwards! Made for a good story though!! Oh wow, looks amazing, beautiful pictures too! I would love to see the ghost. I am sure it would be an incredible rush to actually see one. I do love Hampton Court – last time I went, my daughter was still a baby so it will be fun to go back when she’s older and can enjoy exploring. And we’re sure one day that you would too! Great post Robert! I’m amazed by how many facts you were able to remember to include in this post. I would love to visit Hampton Court one day, especially after reading this. There is nothing quite like reading/seeing the world from a kid’s viewpoint, it’s very refreshing to read. And you write very well!